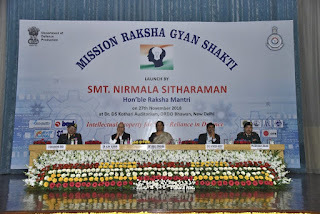 Union Defence Minister Nirmala Sitharaman launched 'Mission Raksha Gyan Shakti' in New Delhi to boost Intellectual Property Right (IPR) culture in indigenous defence industry. It was instituted by Department of Defence Production as a part of the ongoing initiatives to enhance self-reliance in defence. It is aimed to provide a boost to IPR culture in the indigenous defence industry. The main objective of this programme was to inculcate IPR culture in Indian defence manufacturing ecosystem. 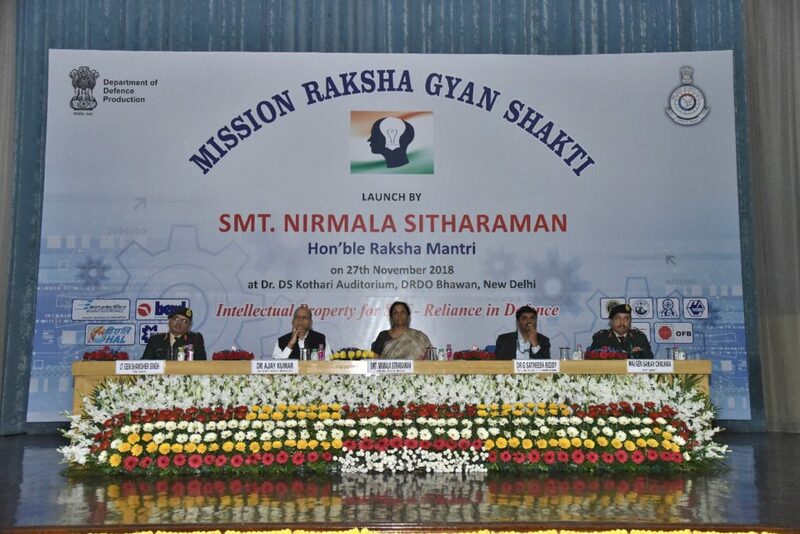 During the event, salient inventions and innovations achieved by DRDO, Defence Public Sector Undertakings (DPSUs) and Ordnance Factories (OFs) that have resulted in successful filing of IPR applications were showcased. IPR has emerged as a key ingredient of an ecosystem which stimulates innovation and ingenuity. India has always been a knowledge hub since ancient times, but due to lack of awareness on modern legal framework for protection of IP rights, nation's knowledge and creativity have often not been utilised to its full potential. Spreading awareness about IPR will help in promoting culture of innovation and creation of Intellectual Property. Defence Ministry has established IP Facilitation Cell in April 2018 to achieve ambitious targets of training 10,000 personnel of OFB and DPSUs on IPR and facilitate filing of at least 1,000 new IPR applications. Q. Union Defence Minister Nirmala Sitharaman launched what in New Delhi to boost Intellectual Property Right (IPR) culture in indigenous defence industry?